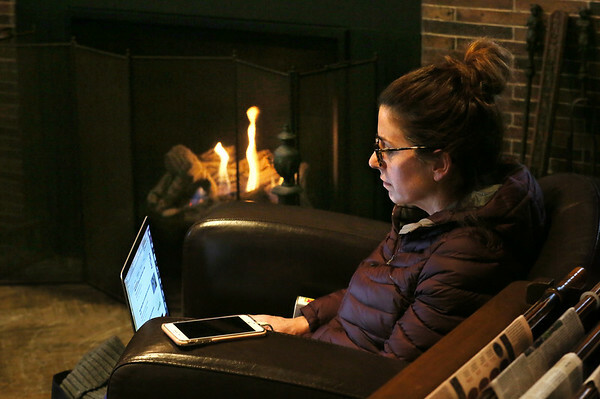 Kate Lawrence of Manchester works on her laptop computer Wednesday next to the new fireplace in the reading room of the Manchester Public Library. "The fireplace makes it a magical spot," said Lawrence. "It's a home away from home."